HASTAC 2015 conference, with the theme “Art and Science of Digital Humanities”, was held May 27-30, 2015 at the Kellogg Center on the campus of Michigan State University. The conference featured a mini-conference for HASTAC Scholars followed by two full days of conference activities and opportunities for collaboration. Please add your own presentations, notes, thoughts, photos, storified tweets, or any other inspirations from the conference to the HASTAC 2015 Conference group! 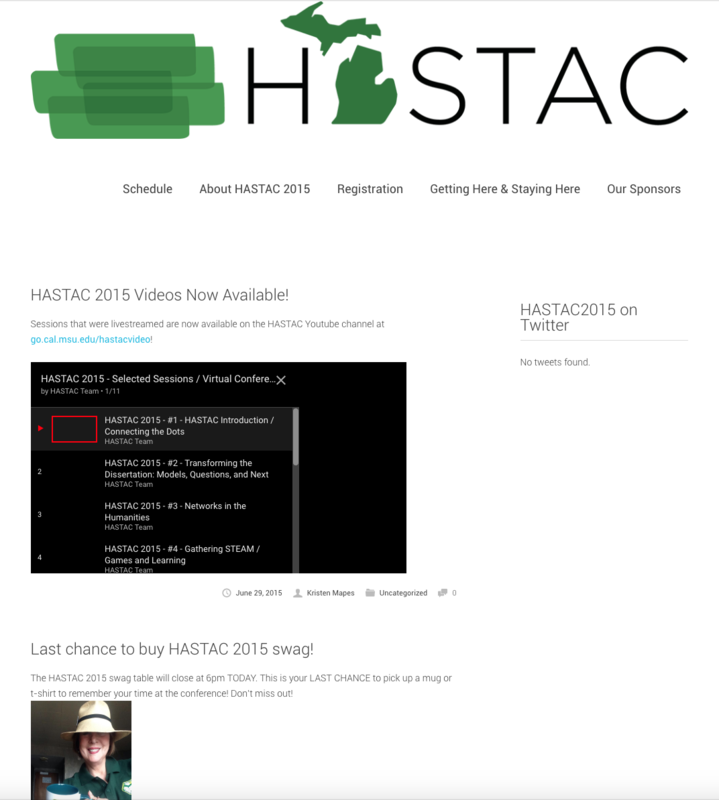 The HASTAC Team has coordinated with the HASTAC2015 Organizing Committee to archive all conference materials here.